If you're a keen fishin' chick send in your photo to win a cool Fishing World cap - as worn here by Fisho's marketing manager Amber Clarke - and go in the running for a major prize! Jessica Fitzpatrick of Blacktown Sydney caught this longtail tuna and others on a trip to Hervey Bay. 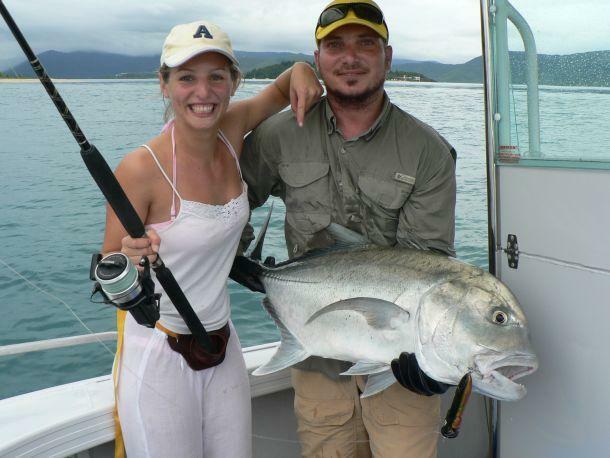 Shane Rollas sent in pic of fiance Lisa and a Whitsundays GT she caught with gun guide Alan Mackay. 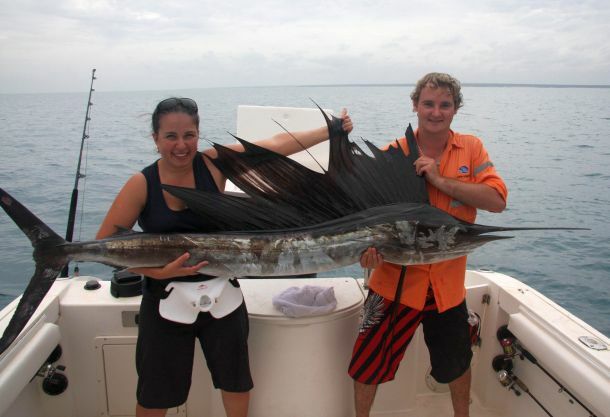 Kerri-lee Harmston of Weipa,QLD with her first sailfish, an around 40kg beauty taken off the Weipa coast. 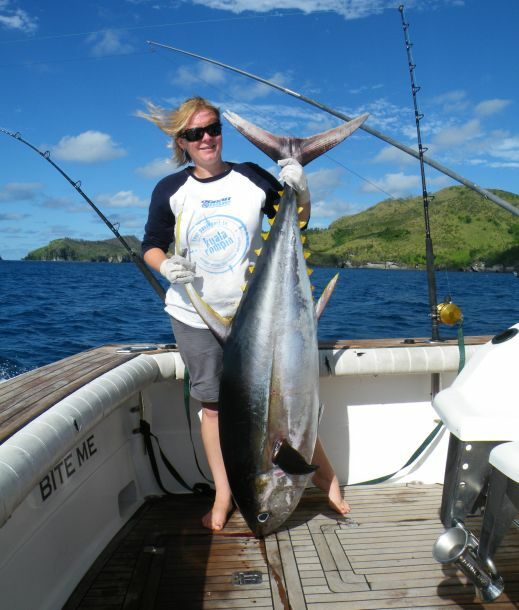 Mel Lockwood caught this 56.8kg yellowfin after a 2 1/2 hour battle in Fiji. 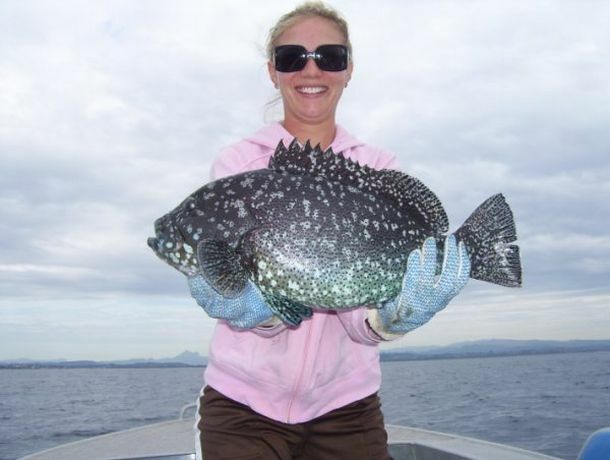 Chrystal Overton caught this pretty blue maori cod while fishing off Kingscliff NSW. 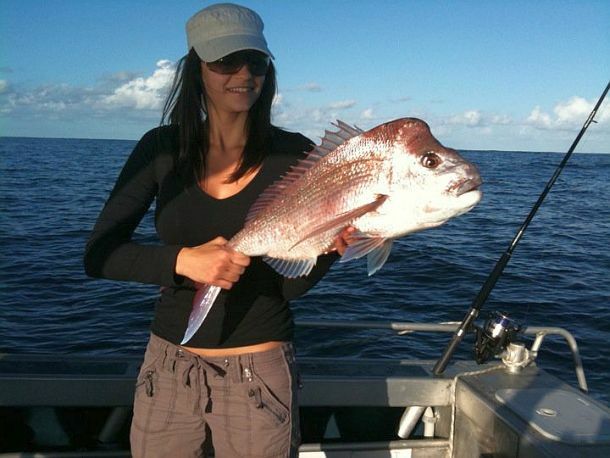 Keen fishing chick Catherine Hughes caught this ripper red off Moreton Island in QLD. Fishin' Chix Photo Comp relaunched! WITH the busy summer fishing season upon us, plenty of the girls will be joining the fellas out on the water, so what better time to relaunch Fisho's Fishin' Chix Photo Comp! So if you're a keen fisher chick – or you know one who is - send in a recent fishing photo for your chance to win* an all new Fishing World cap and go in the running to win the Grand Prize in 2015 of a 12 month subscription to Fishing World magazine, plus other goodies! 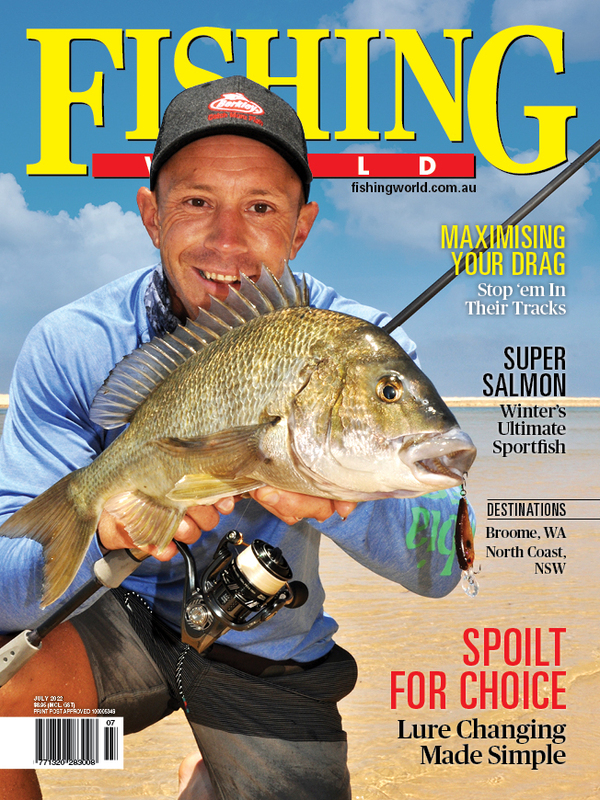 Email your photos to Fishing Chix Photo Comp at: comps@fishingworld.com.au complete with some details of the where, when and how of the catch – and please supply mailing details so we can get prizes out to winning entries. Each month we'll post all entries and announce a prize winner who'll go into the Grand Prize draw.